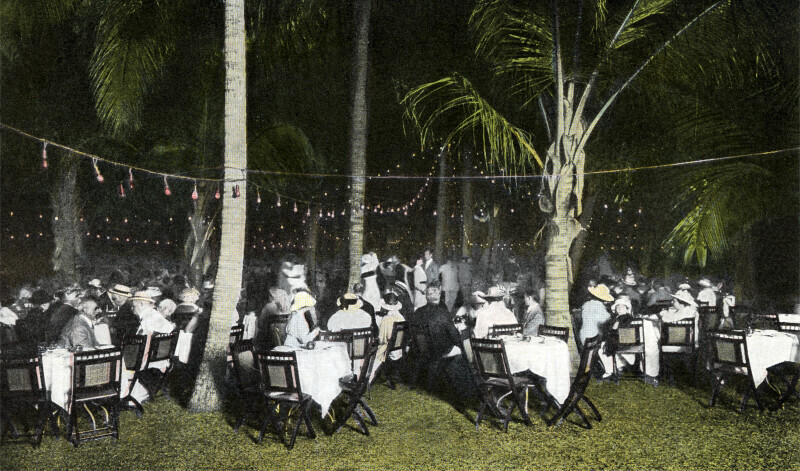 This image shows the Tea Garden, at the Royal Poinciana Hotel. This is a night scene, and the area is lit by strings of light bulbs. There are guests seated at the tables. There are palm trees growing between the tables.